Industrial activity continued to grow steadily in November, this time rising 4.9% annualized (3.5% year-on-year). The November result reflected strong demand for manufactured goods (+7.7% SAAR), which compensated for sluggish mining production in emerging markets. The divergence between factory and mining output is especially prevalent in Latin America, where extractive industries have underperformed the overall industrial sector for 19 consecutive months. Global manufacturing expanded 4.4% year-over-year in November, and at 3.9% after 11 months is on track to record its strongest year of growth since 2011. As was the case in previous months, steady growth in productive capacity (+3.2%) was amplified by increasingly favourable cyclical conditions. Production volumes have now outpaced potential output for 13 months, the longest period of above-trend growth in the post-recession period. At 1.3% in November, the manufacturing output gap was at its highest level since March 2012. Tight operating conditions continued to exert upward pressure on producer prices, which rose 0.5% for the fourth consecutive month. Claims that US inflation no longer responds to cyclical unemployment are misguided. New research by Numera Analytics shows job market gains have so far been offset by weak global conditions, an increasingly important driver of consumer prices in advanced economies. As global headwinds dissipate, rising import prices and strong aggregate demand will drive up headline inflation. In our view, the current debate is much too focused on simple correlations between inflation and the unemployment rate. A weaker correlation has led many observers to declare the “death” of the Phillips curve. But correlations are just the outcome of complex shifts in underlying drivers. We find globalization has made US CPI inflation more responsive to the international environment, amplifying the effect of global macro shocks on consumer prices. Our findings have major implications for monetary policy. If inflation is less sensitive to domestic conditions, stabilizing inflation may come at the cost of higher debt burdens or larger output fluctuations. For macro investors, the results also imply anticipating future changes in interest rates and asset prices requires a better grasp of global economic conditions. This special research note was written by Joaquin Kritz Lara, head of Macro Research and Senior Economist at Numera Analytics. Is Global Inflation Finally Awakening? With the International Monetary Fund bumping up its forecast for global economic growth and the markets continuing to experience a ‘Goldilocks’ rally – synchronized expansion with limited inflation – global conditions call for cautious optimism. 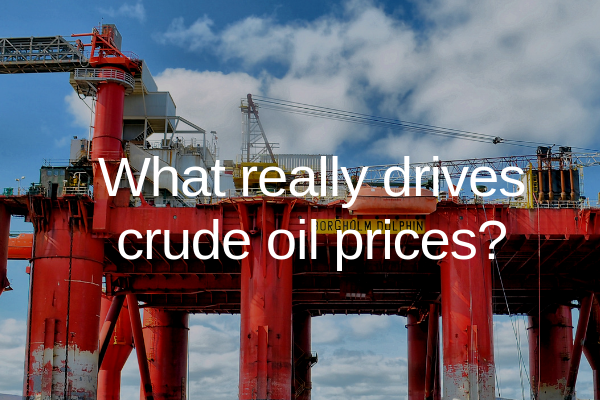 But what do the fundamentals for global production and manufacturing tell us about future price developments? Our Industrial Production report, which is the timeliest release for global production figures, supports the positive notions. Global industrial production grew 3.6% year-on-year in August in a further sign of the dynamism of the global economy. Additionally, production growth is being experienced in 19 out of 25 of the world’s largest economies. These are positive signs which support the upbeat mood of central bankers during the recent IMF and World Bank meetings in Washington. Global manufacturing treads a similar path with factory output climbing 4.1% year-on-year, again supported by strong growth rates in both advanced and emerging markets. Based on our output gap analysis, tight operating conditions have started to exert upward pressure on producer prices. As the September results roll in, we expect global PPI inflation to come in at 0.5%, an increase of 4% year-over-year. This begs the question, are the three bears finally coming to awaken Goldilocks? These findings are part of Numera Analytics’ G2H Macro Series. These reports provide up-to-date information and analysis on the world economy, offering subscribers a comprehensive view of world business cycles and evolving inflationary pressures. Send us an email to begin your free 3-Month trial and gain access to the complete series. Real retail sales grew 4.7% year-over-year in July worldwide, maintaining the strong momentum of recent months. Retail volumes exceeded equilibrium consumption (the level of spending consistent with stable inflation) by about 0.5%, continuing to exert upward pressure on consumer prices. As expected, global inflation accelerated in July (+3.4% annualized), and in most major economies is now approaching long-term inflation expectations. The full Global Retail Sales report from our new G2H Macro Series can be read here.